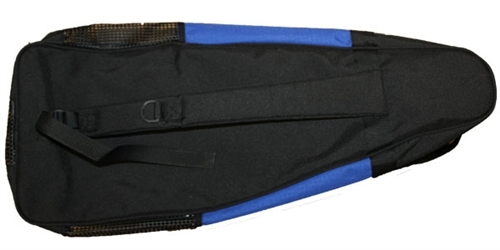 The Trident GB-37 Messenger Bag is hands down an awesome underwater hockey bag! This bag even fits Mares Quattros! 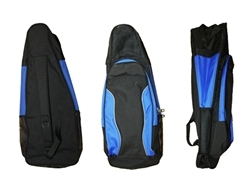 Main Pocket (30 x 20 x 4 inches) is Nylon/Polyester Construction with a waterproof backing to keep wet items from soaking thru. Heavy duty zippered from about 1/3 way from the bottom around the top. Large Exterior pocket (20 x 10 x 4 inches) for gear or clothes. Zippered from about 1/3 way from the bottom around the top. Bulk discounts available for team purchases, please use the contact us link for a quote.